Every day, members of my profession, economists, find new ways to make me deeply regret I ever became one. The latest episode is a story of two economists named Paul. President Harry Truman, the US President who suddenly and unexpectedly took office when President Roosevelt died in 1944, once said famously: “Give me a one-handed economist! All my economists say, ‘on the one hand…and, on the other’”. I myself used to repeat that mantra, during a year as head of an Israeli government planning body. But I soon learned – reality is different. When economics is a value-free zone, it is useless to political leaders. State your values, state your position, clean up the jargon, speak in ordinary language, and keep one hand anchored deeply in your pocket. The Guardian now brings us a shocking, infuriating episode in which a future Nobel economist is fired for demanding clarity and truth. The economist is Paul Romer. In his Ph.D. dissertation, he built a powerful new theory now widely accepted, called “endogenous growth theory”. But another Paul, Paul Krugman, a Nobel laureate, has for over two decades been a beacon of clarity and one-armed economics. In brief: Since MIT economist Robert Solow, we’ve known that half or more of all economic growth is caused by technological change. But Solow treated it as ‘exogenous’, outside the system. Romer observed that technological change is endogenous – it is created by what we do, in education, innovation, and R&D, etc. 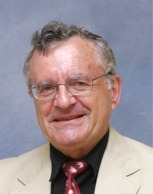 His two Journal of Political Economy articles published in 1986 and 1990, respectively, started endogenous growth theory and changed the world. He will win a Nobel Prize soon for this. It has changed the way everyone thinks about pro-growth policies and plans. 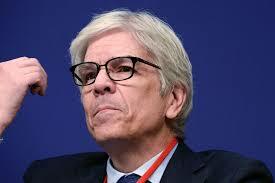 Paul Romer wanted one-handed economists, who speak clearly, and paid the price. But is there a role-model for clear-thinking clear-speaking economics? There is. 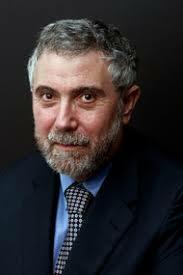 New York Times columnist Paul Krugman. Krugman has blasted Trump and the Republicans, and identified their scorn for economic truth. In the 1930’s economics took a wrong turn. Influenced by the London School of Economics, economists decided to become like physicists and deal with only ‘pure science’, without ethical value judgments. At that moment, economics became irrelevant. And it remains so. I hope Romer wins the Nobel Prize later this year. In his acceptance speech, I hope he tears several strips off the moribund walking-zombie economists there, hundreds of them, a whole building full of them at 1818 H Street in downtown Washington. That building is a wasteland desert, even though it is in the heart of Washington. Economics: Oliver Hart (Harvard) and Bengt Holmstrom (MIT): contract theory. Especially “incomplete contracts”. See Hart’s American Economic Review 2001 article on financial contracting — enlightening, especially for Venture Capital. Physics: David Thouless, F. Duncan Haldane, J. Michael Kosterlitz. Their mathematics (based on topology) revealed insights into ‘extreme state’ matter (e.g. very low temperatures, super-cooled, etc. ), and may lead to important new products, perhaps in semiconductors and computing. Chemistry: Jean-Pierre Sauvage, J. Fraser Stoddart, Bernard Feringa: synthesis of molecular machines. These tiny machines, the size of a single molecule, can do actual mechanical work. Also may lead to important innovations one day. Note the common denominator: Willingness to ask really good questions, questions others aren’t asking, ability to take risks in research, tackle very challenging hard problems, and in some cases, defy the establishment by choosing a research direction others think is a dead end. And the Peace Prize? To Colombian President Santos, and the peace agreement that ended 50 years of senseless civil war. We learn from Colombia what we already know, from Britain’s Brexit vote – beware of referendums, you cannot be sure what they will yield. Colombia will revote its peace agreement, narrowly defeated in a referendum, and gain approval. But Britain? Britain will leave the EU, for certain, a result very few expected, with major consequences for Europe and the world. 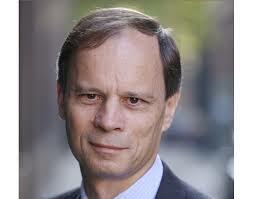 Nobel Prize for Economics: Jean Tirole Takes on the Giants! “This year’s prize in economic sciences is about taming powerful firms,” Staffan Normark, permanent secretary of the Royal Swedish Academy of Sciences, said as he named Tirole the winner of the 8m kroner (£700,000) prize. Tirole, 61, began his work on regulation and oligopolies in the 1980s and published an influential book in 1993 with the late Jean-Jacques Laffont on regulation. The judges said Tirole is “one of the most influential economists of our time”. The panel said Tirole had shown the “deep and essential differences” between regulating companies in different sectors, such as telecom companies or banks. Imposing caps on prices could reduce the influence of monopolies in some sectors, but not in others, the judges said, pointing to Tirole’s use of game theory and contract theory. “In a paper last year, Tirole scrutinised, with Roland Bénabou, the pay and motivation structure in industries such as banking. They write about a “bonus culture that takes over the workplace, generating distorted decisions and significant efficiency losses, particularly in the long run”. Tirole did not share the prize but won it alone. It is the first time since 1999 that an American has not at least shared the Economics Prize. Will policymakers and politicians listen to Tirole? Yesterday I spoke with a family friend, a lawyer, who is leading a class action suit against a Detroit mortgage bank. He affirmed that the U.S. Justice Dept. has never prosecuted a single criminal case against Wall St. offenders, who nearly destroyed the world. They’re just too powerful, he said. Some groups spend $400,000 A DAY on lobbyists in Washington. Apparently, it’s a good investment. I am fantasizing a court case, criminal case, in which Jean Tirole is called as a witness for the prosecution.